Meteor Leaves 40-Foot Crater Near Managua's Airport : The Two-Way The space rock, thought to have broken off from an Earth-passing asteroid, left a hole 16 feet deep just outside the international airport in the Nicaraguan capital. 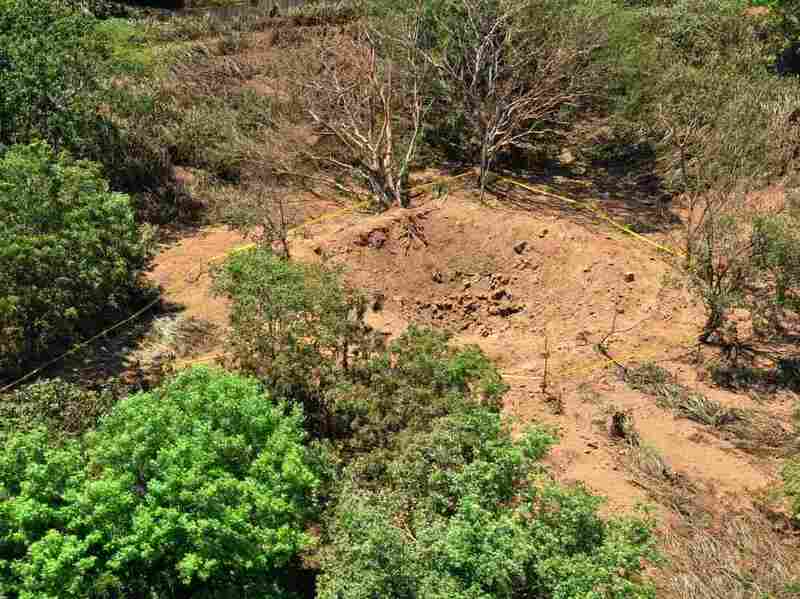 A photo released by the Nicaraguan army shows an impact crater made by a small meteorite in a wooded area near Managua's international airport and an air force base. 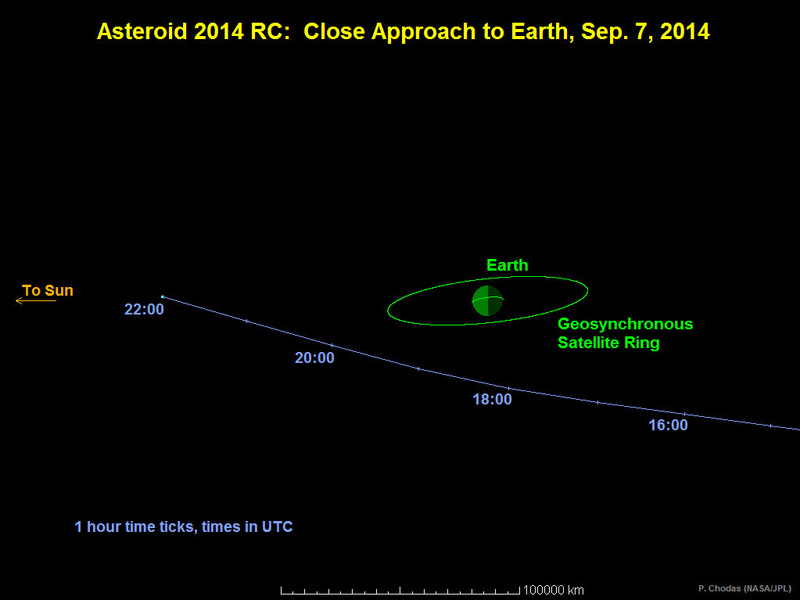 This graphic depicts asteroid 2014RC's route past Earth on Sunday. There was an unexpected crash landing near the international airport in the Nicaraguan capital over the weekend, but luckily no one was hurt: A small meteor, thought to have broken off from an Earth-passing asteroid, left a 40-foot-wide crater. The meteorite — which experts say may have disintegrated on impact — smashed through a wooded area outside the airport in Managua, leaving a 16-foot-deep hole. "We thought it was a bomb because we felt an expansive wave," Jorge Santamaria, a resident in the area of the impact, was quoted by The Associated Press as saying. The AP quotes Nicaraguan government spokeswoman Rosario Murillo as saying the meteorite was relatively small and "appears to have come off an asteroid that was passing close to Earth." Nicaragua will ask international experts to help local scientists in understanding what happened, the AP says. "All the evidence that we've confirmed at the site corresponds exactly with a meteorite and not with any other type of event," Ineter scientist Jose Millan was quoted by the BBC as saying. "We have the seismic register which coincides with the time of impact, and the typical characteristic that it produces a cone in the place of impact." "Astronomer Humberto Saballos said the meteorite could have broken off from the 2014RC asteroid which passed Earth at the same time. "2014RC, which is the size of a house, came closest to earth at 18:18 GMT on Sunday, when it passed over New Zealand at a distance of about 40,000km (25,000 miles)." The asteroid was discovered on Aug. 31 by the Catalina Sky Survey near Tucson, Ariz., and independently detected the next night by the Pan-STARRS 1 telescope, located on the summit of Haleakala on Maui, Hawaii, according to a NASA statement issued last week. 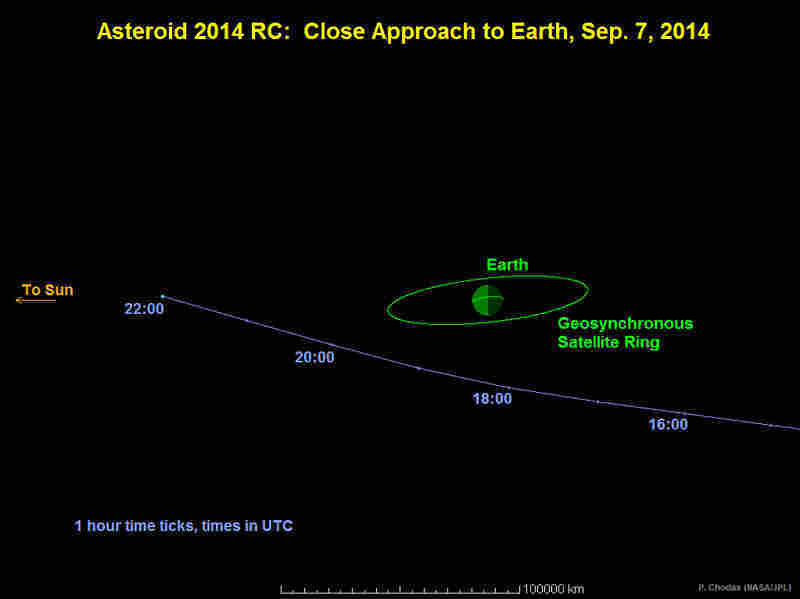 The statement said that on closest approach, the asteroid was to have been one-tenth the distance from the center of the Earth to the moon, or about 25,000 miles, away.